Claims Consultant with minimum 3 years Personal Lines AND Commercial Claims experience, preferably from a Brokerage environment, required to render effective and efficient claims service to stakeholders. Recognising that diversity is key to excellence, our client especially encourages members of designated groups to apply. If you have not heard from us within a two week period, please deem your application as unsuccessful. Our core values are trust & confidentiality. 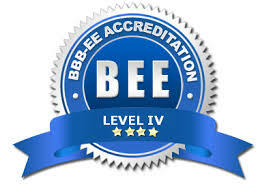 Yazoo Recruitment Specialists' BBBEE Status is a Level 4 Contributor.